Compare File Server to Cloud Storages. 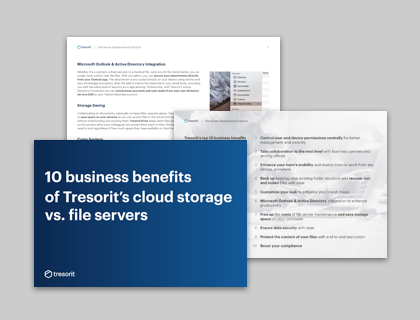 10 business benefits of Tresorit's cloud storage vs. file servers. As technology has matured, more and more businesses started leveraging the benefits of the cloud. Contrary to file servers, the cloud allows enhanced mobility with access to files from any device, anywhere, facilitates collaboration between offices, helps to save storage space and can increase control over company files. However, many companies still have security concerns when it comes to moving data to the cloud and the proliferation of data breaches shows that hackers are increasingly after information stored in the cloud. 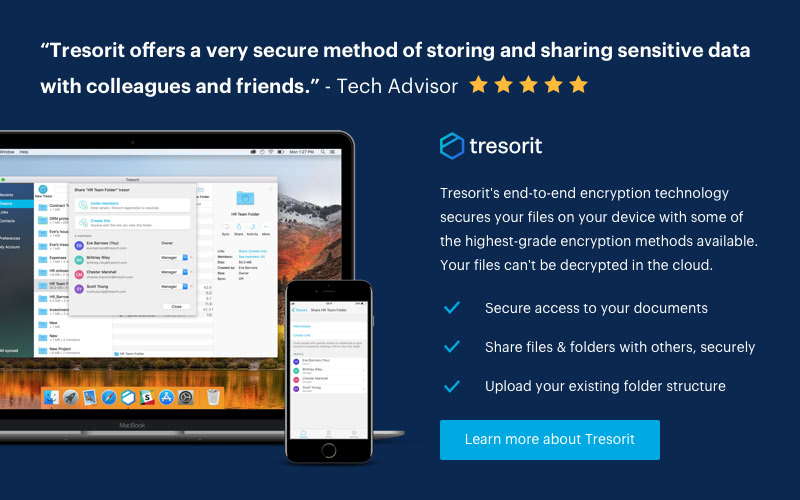 With Tresorit, these security concerns can be minimized as Tresorit offers a highly secure yet easy-to-use way to store, sync and share files in the cloud. Here you can read 10 business benefits of Tresorit's cloud storage vs. file servers.